Choosing an email management software can be a tricky activity when you realize there are plenty of options in the market. In order to make it easier to know which solution will benefit you the most, you have got to look into your company and your peers habits. In general, an average person spends almost three hours every single day just to reply emails. This time is so precious and could be used for many other — and more profitable — activities. Keeping a good relationship with your customer is essential if you aim to keep them loyal to your company. But, if you run a business, you have probably realized that you need a way to organize your information for each and every client. If you work on a sales team, for instance, many people have together looking forward for the same target. Sometimes it might be an issue in your email. So, instead, many companies have adopted specific CRM (Costumer Relationship Management) softwares. A good idea? Definitely. But on the other hand, employees lose productivity by switching tools and softwares all day. Besides that, more softwares = more support needed. Your company will have to learn about different tools, features, and although it might be simple for some to master it, for others it is simply a nightmare. Improve performance for the company. Many softwares already centralize CRM work in email, making it much simpler to keep the information regarding your relationship with clients in a simple and organized place. Most companies need Help Desk softwares in order to manage their support to clients. Just making sure that their issues and questions are properly solved can make a huge different in your profit. Furthermore, keeping a good relationship with your customers is essential if you aim to keep them loyal to your company. If this is your case, you have probably realized that you need a way to organize information for each and every client, so you can track, target and solve their issues efficiently. Help Desk software companies are very handy. But we don’t think they solve the problem as efficiently as they could. Basically because dedicated softwares, as good as they are, always add more things for you to think about, more tabs on your browsers and more passwords to remember. There is the possibility to make it all from places you already use, such as email. Working with projects and tasks is great. It’s always very good to see how much people have accomplished by using project management tools in their businesses. However, nowadays managing a project and its tasks with a team is not always easy. Because of today’s noisy communication and great amount of distractions, some teams require special attention. And if you lose track of something, it might end up very messy. In order to solve any major possible issue with communication with project teams, a whole lot of places found dedicated softwares to be the solution to their businesses. 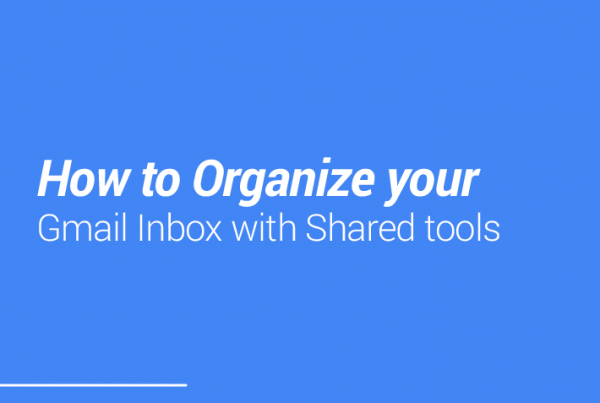 However, another way to organize tasks is by using them right from your email. This method keeps emails and tasks together. It has the potential to increase your productivity by decreasing the amount of time you spend in your inbox. Shared inboxes are extremely useful for teams, but many still don’t even know about the possibility of it. It happens mainly because people are have quite accepted email as it is, and don’t think about it as an evolving technology. The thing is email has been the most used business communication tool for the past couple of decades. It’s been available almost since the beginning of internet. Also, it’s probably one of the first things you set up when you start browsing. However, email has been designed to be used individually. There are only personal accounts that cannot be shared. Unless you make use of FWD, CC’s, BCC’s and other confusing features traditional email tools offer. But think about it, if you are on a team, wouldn’t it be amazing to share your mailbox? Also, work collaboratively without having to use the same email address? Fortunately, it is already possible, if you leverage the right technology. Shared inboxes. Some softwares can even join all specifications above with email, keeping it organized and well managed, and it’s quite easy to do so. 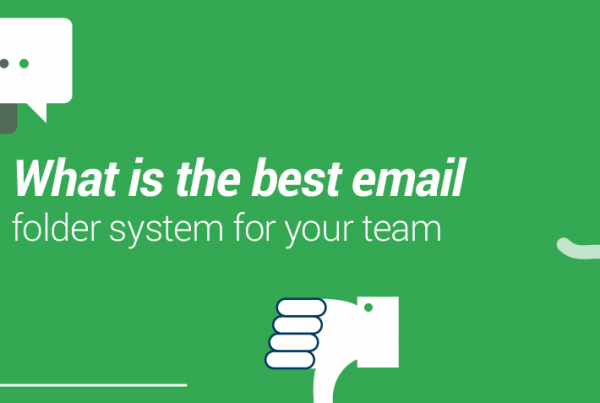 An email management software should bring your team a simple and easy to use solution, not a burden, so look for the tools you truly believe and also those that provide an awesome experience for all your team. Less is more when you need to invest resources regarding a new tool, so keep in mind how much time, people and money you have got for this.